During a visit to Rome’s Evangelical Lutheran Church, Pope Francis was asked about conditions under which a Lutheran could receive communion at her husband’s Catholic church. Question: My name is Anke de Bernardinis and, like many people in our community, I’m married to an Italian, who is a Catholic Christian. We’ve lived happily together for many years, sharing joys and sorrows. And so we greatly regret being divided in faith and not being able to participate in the Lord’s Supper together. What can we do to achieve, finally, communion on this point? Pope Francis: The question on sharing the Lord’s Supper isn’t easy for me to respond to, above all in front of a theologian like Cardinal Kasper! I’m scared! I think of how the Lord told us when he gave us this command to “do this in memory of me,” and when we share the Lord’s Supper, we recall and we imitate the same as the Lord. And there will be the Lord’s Supper, there will be the eternal banquet in the new Jerusalem, but that will be the last one. In the meantime, I ask myself — and don’t know how to respond — what you’re asking me, I ask myself the question. To share the Lord’s banquet: is it the goal of the path or is it the viaticum [provisions] for walking together? I leave that question to the theologians and those who understand. It’s true that in a certain sense, to share means there aren’t differences between us, that we have the same doctrine – underscoring that word, a difficult word to understand — but I ask myself: but don’t we have the same Baptism? If we have the same Baptism, shouldn’t we be walking together? You’re a witness also of a profound journey, a journey of marriage: a journey really of the family and human love and of a shared faith, no? We have the same Baptism. When you feel yourself to be a sinner – and I feel more of a sinner – when your husband feels a sinner, you go to the Lord and ask forgiveness; your husband does the same and also goes to the priest and asks absolution. I’m healed to keep alive the Baptism. When you pray together, that Baptism grows, becomes stronger. When you teach your kids who Jesus is, why Jesus came, what Jesus did for us, you’re doing the same thing, whether in the Lutheran language or the Catholic one, but it’s the same. The question: and the [Lord’s] Supper? There are questions that, only if one is sincere with oneself and with the little theological light one has, must be responded to on one’s own. See for yourself. This is my body. This is my blood. Do it in remembrance of me – this is a viaticum that helps us to journey on. I once had a great friendship with an Episcopalian bishop who went a little wrong – he was 48 years old, married, two children. This was a discomfort to him – a Catholic wife, Catholic children, him a bishop. He accompanied his wife and children to Mass on Sunday, and then went to worship with his community. It was a step of participation in the Lord’s Supper. Then he went forward, the Lord called him, a just man. To your question, I can only respond with a question: what can I do with my husband, because the Lord’s Supper accompanies me on my path? It’s a problem each must answer, but a pastor-friend once told me: “We believe that the Lord is present there, he is present. You all believe that the Lord is present. And so what’s the difference?” — “Eh, there are explanations, interpretations.” Life is bigger than explanations and interpretations. Always refer back to your baptism. “One faith, one baptism, one Lord.” This is what Paul tells us, and then take the consequences from there. I wouldn’t ever dare to allow this, because it’s not my competence. One baptism, one Lord, one faith. Talk to the Lord and then go forward. I don’t dare to say anything more. George Weigel wrote this column in January for ‘the other’ NCR that recently piqued my liturgical antennae. He has good points and bad, mixed together in an acerbic style that is by now pretty well known. It got me thinking about my own version, offered in contraposition and in complementarity, based especially on some of the “liturgical abuses” I have witnessed in Rome, as well as some of the “best practices”. It has happened on occasion, even here in Rome, that I have been accused of being a true liturgist – in the sense of the old joke about the difference between terrorists and liturgists. I offer these as suggestions merely, humbly, and invite, as always, critique and commentary. Another great sage of liturgical aesthetic, the clock from Disney’s Beauty and the Beast, put it this way: “If it ain’t Baroque, don’t fix it!” We are as done with Baroque as we are with orange shag carpeting and felt banners, thank God. Let us not idealize one period of the past at the expense of the entirety of Tradition, and the need for ongoing aggiornamento. Ecclesia semper purificanda, after all. Clericalism is a systemic and personal sin that ought to be rigorously avoided and rooted out of ecclesial structures like the cancer that it is… but, that is a topic for another post. Weigel seems to conflate his personal musical taste with some objective sense of quality, and goes on to express this rather rudely and without perspective – Compared to the angelic chorus, even the best of Palestrina, Bach, and Mozart, would sound like a ‘treacly confection’. That aside, this is one way we can remember we have left chronos and entered kairos. I would just add that songs should be singable, for the most part, though there is room for a reflection or meditative hymn, it would be a tragedy if the entire liturgy were converted into a concert given by professional choirs in polyphonic chant that is impossible to follow without expert training. It is not without reason, and this is one of them, that more than one cardinal expressed to us while visiting Notre Dame that the Triduum liturgy there was done better than in Rome! True… but how many churches do not have adequate narthex space? Most I would say. At St. Brendan the Navigator in Bothell, WA, there is an excellent example of good use of narthex and sanctuary/nave in the same building. Weigel channels Ratzinger when he insists that presider be called celebrant. The problem is simple, though. The entire assembly celebrates the Eucharist, but only the bishop (or presbyter-delegate) presides. This language goes back much further than that of “celebrant”, and we can see the title in Justin Martyr, before presbyters are even allowed to take on the role. There may be some parishes where extraordinary ministers of communion are overused, but when I see hundreds upon hundreds of communion ministers at St. Peter’s here in Rome, whether priests, deacons, or extraordinary, it is hard to say that anywhere else overuses them. Most use what they need. And there is no connection between having too many communion ministers and making the mass a self-worshipping act. This is a nonsensical and unsupported assertion. This is a matter under the authority of the local bishop, as legislator and liturgist of his diocese. Offering a blessing at communion, especially to those not in full communion, but who desire it, is a significant practice that should not be lost. Absolutely. The entire assembly, at least those fully initiated with Baptism, Confirmation, and admission to the Eucharist, should be vested in albs, the white baptismal garment. Can you imagine the effect, if all the initiated were actually vested? When in Rome, do as I want to do. The cynical observer, or the realist, will tell you that the Romans do pretty much whatever they want. But when you come to Rome, observe the official practice, and the actual practices, and try not to impose your practice from Milan, Seattle, or London upon the community here. Observe and adapt. Communion from the tabernacle during the liturgy. The ideal situation is that each Eucharist should consecrate enough bread and wine for all those present, and maybe just enough for the sick and homebound. Ideal is not always pastorally possible. However, here, you can frequently see only one host consecrated, for the presider, and then everyone else served from the tabernacle. Communion under one kind only. While minimally sufficient, it should normally be under both species, or it lacks the fullness of the sacramental sign. Further, it is the choice of the communicant to receive on the tongue or in the hand. The latter is more ancient, the former is canonically the norm here in Italy. I have addressed these points here and here. It is one thing in a giant basilica where you have mass in some side chapel, and confessions going on a football field away in another part of the building. Quite another when the 18th century wooden confessional is cozied up so close to the pews in the parish church that you can hear the penitent while you are sitting in reflective silence after the homily. When the liturgy begins, no other sacrament or devotion should be happening in the sanctuary, unless it is a part of the liturgy. Many altars, many breads, no body. One of the beautiful tragedies, or tragically beautiful moments, is if you go to St. Peter’s early in the morning (this happens rarely for me), and you see dozens of priests at dozens of altars all offering the Mass, separately, and with at most one assistant. It is easy to think of all the places in the world where people go days, weeks, or months without access to the Eucharistic liturgy. But it also begs the question, why not concelebrate? Why not have one mass, so that the few morning pilgrims could all join as well? Is a liturgy without the presence of the Church even a liturgy, or a private devotion of the presbyter? I never thought I would agree with the Lefebvrists on much beyond the basic dogmas of the faith. But they have a certain point here, though for different reasons. Imagine a liturgy with twenty people. Fifteen are vested and concelebrating, and five are in ‘plainclothes’ and simply celebrating. Is it really necessary to have so many concelebrants? A priest may feel obligated to celebrate the Eucharist every day, and this is a worthy thing, but he need not do so vested every time, especially in such a scenario. There could be the presider, a deacon, and as many concelebrants as needed for communion, or for a preacher, etc. With occasional exceptions, less is more. We stand for prayer, not for announcements. The most elegant remedy to this I have seen is that the Prayer after Communion be offered at the end of the Communion procession, rather than at the beginning fo the concluding rites. That is, remain standing (or kneeling, or sitting, as the local case may be) for the entire communion procession, and as soon as everyone has received, the presider offers the communion prayer. Only then do we sit in silence (or with meditative hymn) for the post-communion reflection. Then, while still seated, any announcements can be made. Midnight Mass is at Midnight. Not 10pm. Even if the pope does it. 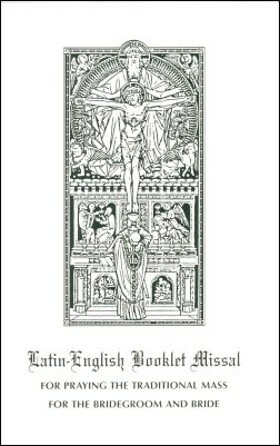 Then, you can still use the midnight readings, just do not call it midnight mass! At Easter, do not do as the Romans did last year…. At the Vigil, the lights came on entirely too early. Actually overheard behind me “Well, that rather destroys the effect, doesn’t it?” or variations, from more than one voice. Let the service of light continue as long as it can, the readings can mostly be done in darkness, with only the paschal candle to light the ambo. The Lay Centre welcomed Monsignor Nicola Filipi, the secretary to Cardinal Agostino Vallini, the Vicar General of Rome. He is, if you will, the vicar general’s vicar general. Don Nicola joins us each year with an update about the life of the Roman Church – and no, I do not mean the Catholic Church as a whole there, but the properly called Church of Rome – the local metropolitan diocese. I have mentioned elsewhere the great liturgical variety I see in Rome, certainly in respect the kinds of things that would have self-appointed liturgical police crying foul. But we experienced something perfectly legit, yet rather unusual, so it is worth commenting. Much ado is made here about communion under both species – as in, they tend to forget that this is the norm. * In fact, most of Italy does not offer the cup to the assembly, or, if they do, they offer intinction. Either case is odd for someone coming from a local church where the normative value of offering and receiving under both kinds has always been strongly emphasized. At the lay centre we normally have both offered, but accommodate presider preference. With a small community, we also try to prepare exact numbers of hosts, and while the Blessed Sacrament is reserved in the chapel, it is usually just a single host in a lunette or small monstrance withing the tabernacle. While this is more faithful to the norms of the Church, it is unusual in Italy, where parishes sometimes have so many reserved hosts that they will celebrate the Eucharist and then offer communion from the tabernacle – a clear liturgical no-no. We had an unexpected number of guests that evening, and Don Nicola had decided to offer the cup by intinction. When it came to the last two in the communion procession, we were out of consecrated hosts. Turning to the tabernacle and finding only a single host in the lunette, he opted instead to offer the cup alone. Communion under one kind only is sacramentally sufficient, albeit liturgically lacking, and foreseen only when there is no alternative or if there is some grave reason – like wheat allergy or alcoholism – to avoid the other species. Often in Italy it takes the form of the host only, and not the cup. It was nice to see the liturgical principle put into practice for exactly and only the reason it was intended, however. What i find interesting is the choice to leave something in the tabernacle rather than offer it as communion. *Sviluppo: I have been informed by an eminent italian canon lawyer, that in fact, the norm for communion in Italy, as promulgated by the national bishops’ conference, is the host alone. The legal norm is not the only norm, however. I have seen the situation best described by Paul Ford thus: “It is, in truth, acknowledged by many eminent authorities, that the Sacrament, as thus administered to the laity, loses a part of its significance, and may lose a part of its grace also, not of the grace of salvation, but of the grace of sanctification.” The sacramental norm, if you will, is both kinds, while the legal norm in this case is the host only. Two friends of mine were recently married, according to the “extraordinary form” of the Roman Rite, better known as the Tridentine Rite. It was the first nuptial mass of its kind in Rome since Pope Benedict XVI published Summorum Pontificum and established a personal parish in the Eternal City for the followers of the pre-Vatican II liturgies. This is one of the unanticipated gifts of being in Rome, being able to time travel and see what the various sacraments and rites were like for the four centuries before Vatican II went digging around the scriptural and patristic sources to bring back the older traditions while simultaneously brining everything “up to date”. It was a beautiful day. The weather was perfect, the liturgical chant was beautifully sung, the bride was radiant, the bridesmaids beautiful, and the reception was a masterpiece of hospitality and conviviality. The liturgy was observed at church of Santissima Trinita dei Peligrini, and the reception was hosted in the gardens of the Passionist Retreat of John and Paul, home of the Lay Centre at Foyer Unitas. About 70 guests were present, some from as far as Vancouver, BC or Johannesburg, South Africa. The people I met were wonderful, and though I did not get as much time to get to know the wedding party – between their hard work preparing for the wedding, and their deserved socializing afterwards – I had some great conversations and met some fascinating people. It was, overall, one of the most beautiful wedding weekends to which I have been invited. It is therefore all the more to the credit of the bride and groom, and their assembled guests, that they did not let the one black mark on the day ruin the rest: It was the worst wedding homily I have ever heard. I can honestly say it nearly had me in tears. The priest began by comparing marriage to investing in the stock market – risks and rewards. I do not find financial analogies to personal relationships generally helpful, but he might have been able to move on to something meaningful. Instead, the meandering sermon – decidedly not a genuine homily – stumbled from one faux pas to another. Anybody want to bet he was thinking of Seattle among the other four? Rochester’s bishop usually gets critiqued for, among other ‘liberal tendencies’, his support of lay people in ministry. Hmm… strike one against a crowd of lay students at pontifical universities preparing for ministry. So… actual scripture study and the Jesuits in one blow. Poor Biblicum students. And our resident imam, friend and housemate of the bride, sitting right in front of me. Ouch. Thankfully, he did not explicitly complete that thought, but the parallel was not lost. A little uncomfortable, but not quite offensive like the previous statements. Then the meandering somehow landed on Thomas Jefferson and the Declaration of Independence, on which it stayed for a while. I honestly cannot remember what the point of that was, I was trying too hard to keep a straight face by focusing on the image of the Holy Trinity above the altar. The whole thing went on for about 20 minutes, though i felt like an eternity. At least the pastor, during the “admonishment on the responsibilities of the married state” at the exchange of vows before the mass, spoke of “procreation and the upbringing of offspring”. Maybe not how I would have put it, but more apropos than purely partisan preaching!